Pataneswari Temple is dedicated to Maa Pataneswari, who is the presiding deity of Patna kingdom or Patnagarh which is now known as Balangir. Pataneswari was the prime deity of first Chauhan king Ramai Dev. 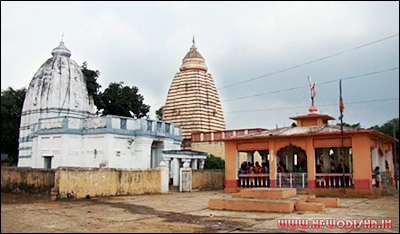 Pataneswari temple is located in Balangir town. It is a place of intense spiritual activity. Pataneswari Temple is a 14th century shrine, located at Patnagarh, about 38 km from Balangir District of Odisha. It was built by Ramai Dev, the first Chauhan King of Western Orissa. The presiding deity is Goddess Pataneswari, an incarnation of Goddess Durga. The Devi here is enshrined in the form of ten-armed Mahishasuramardini holding war weapons including sword and shields, bow and arrow, thunderbolt, a snake and a long trident. This temple is also known as one of the Shakti Pitha in Odisha. Another temple dedicated to Goddess Pataneswari is situated at Sambalpur. Give Responses for "Pataneswari Temple of Balangir"